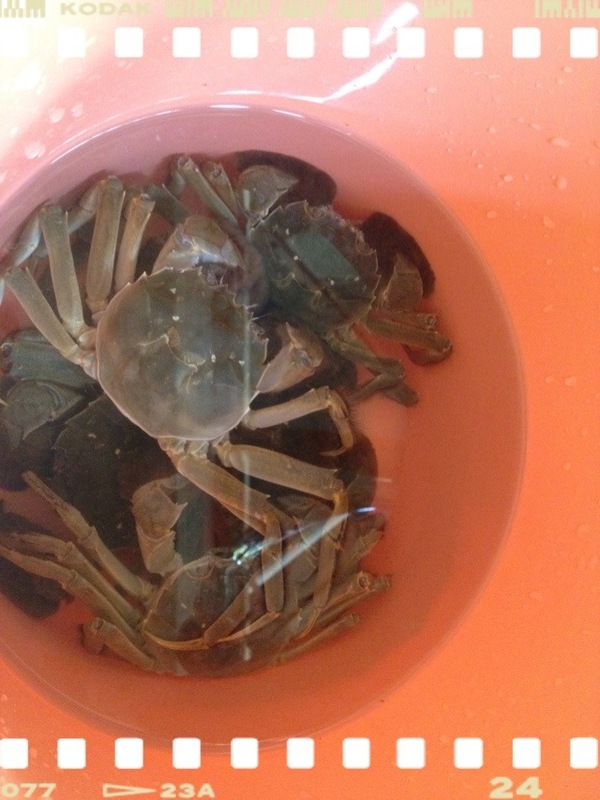 A continuation from my “Hairy Crab Escapade Part 1“! Hur Hur! All 5 were intact when I got home!! I prodded them with a chopstick, they looked quite feeble. The ice cubes I added before i left the house didn’t seem to have helped. Maybe I should have put them in the refrigerator. Hope they didn’t suffer a heatstroke. But I still didn’t want to take the risk of being a victim of their powerful looking pincers. I dredged them from the pail, put them in the rice cooker’s metal tin, covered it and thrust it into the freezer for 15 mins. They were in comatose at the end of it. I took the opportunity to scrub them clean. I lined them nicely on a deep tray, covered them with some thinly sliced ginger. I poured rice wine, sesame oil and light soya sauce over them, topped up with some water. Then I steamed them for 20 mins til they were bright red. Yes!! After all the hard work, they were finally cooked! The hub wasn’t interested to dirty his hands from eating crabs. So I had all 5 to myself. I put 2 and the remaining sauce into a container and chilled them in the refrigerator for tomorrow’s consumption. Ha! I’ve 3. Little did I know that, it’s harder work to eat them than all the preparation work! I pried open their shells with anticipation of overflowing orange roe. I was sorely disappointed that it wasn’t as much as I thought. Sigh! Ok lar. Better than nothing. I started to wonder if the 30 bucks ones had more roe?? Maybe that’s why they cost $30 each?? I didn’t need to dip the meat into any sauce, as they had gained a flavor from the condiments I had steamed them with. The meat was sweet and succulent. The only grouse was there were more shell for me to deshell than meat that went into my mouth. Sigh. It sure was hard work digging out all the bits and pieces of meat. I polished off all 3 in 30 mins. Meanwhile I’ve 2 more waiting for me tomorrow! Yums! I still prefer the huge Alaskan crabs I had in Hokkaido though. I look forward to going back there one day. 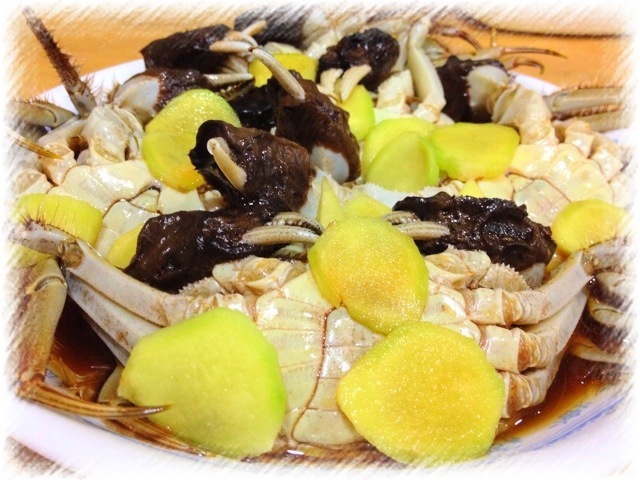 I can’t remember when was the last time I ate the hairy crabs 大闸蟹. I vaguely remember eating them when I was very young, probably just a small spoonful of roe. The whole family had to share 2 teeny weeny crustaceans. Someone posted on the munch ministry Facebook page on her home cooked hairy crabs!! (Munch Ministry is a cooking club where members share recipes. I’ve only been drooling over the yummy photos so far.) 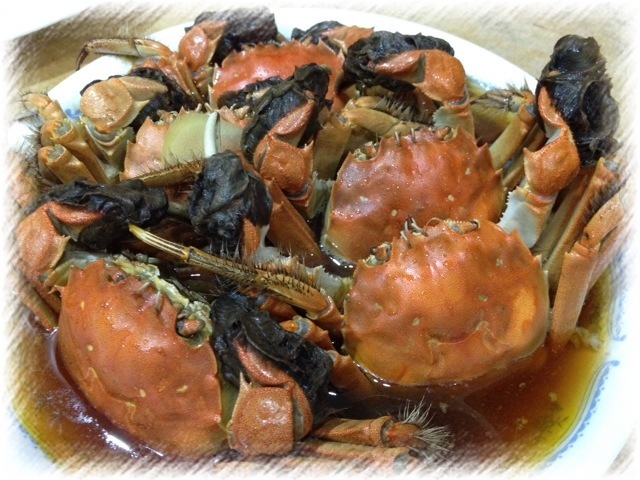 She even posted that Sheng Shiong (a local supermarket) has a promotion this weekend – 5 live crabs for a mere $16.80!! “Are you sure? You know how to cook crabs meh?? ?” he looked at me doubtfully. “Hmmm.. I’m sure I can find a more humane way to cook them. Worst case, just google lor!!! Everything is on google now!” I replied him confidently. “I’ve a craving!! You know?! Craving!? It means your son wants to eat it? ?” pointing at my tummy. “Whatever.. As long as you know what you are doing..” he replied resignedly. So off we went to the nearest Sheng Shiong and came back with 5 live hairy crabs. We found one in the basin. We looked high and low and couldn’t find the last one. I peered over the rails and there it was. Lying downstairs on its back. It must have, somehow, escaped and fell from the kitchen window. I went downstairs with a pair of chopsticks and prodded it. It’s still alive!!! I gingerly picked it up with the chopsticks and went back upstairs. I put it back into the pail with its brothers and sisters (I still couldn’t differentiate the gender yet). There! 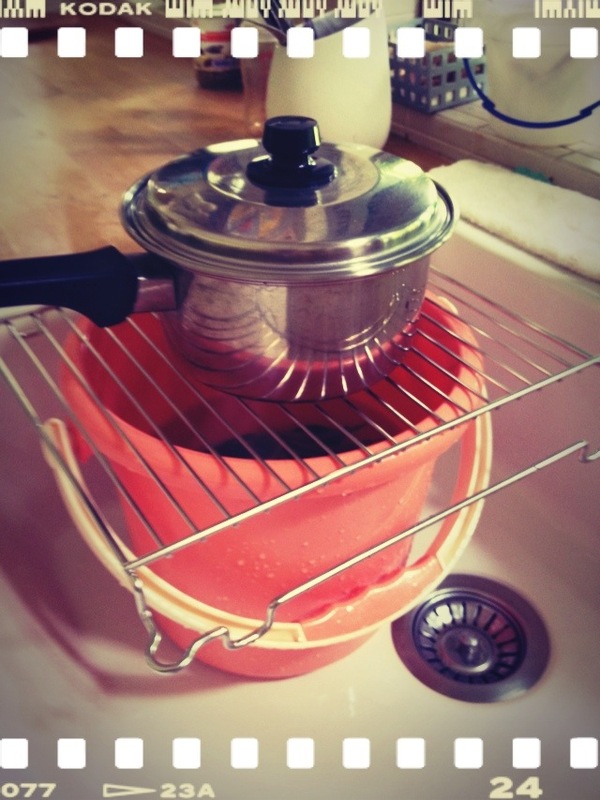 If I come home to an empty pail, then I’ll concede defeat to the crabs’ resourcefulness in escaping…. It looked secure enough to me. The truth awaits me…. Will I still have crabs left for my supper?!? ?